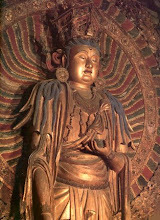 Buddhism is unique among religions in that it knows no ceremonies comparable to those in other religions. Ceremonies and rituals, elaborate and tiresome in performance, have no room in Buddhism. 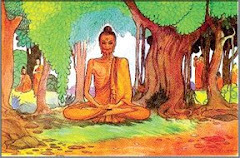 We do not find any instance in the Pali Canon where the Buddha lays down the rules and methods for the performance of ceremonies for the laity. It is left to the individual whether or not to perform them. 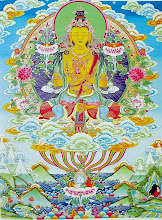 He has only one thing which he must take into consideration, that is his performing of ceremonies does not clash with the teachings of the Buddha. 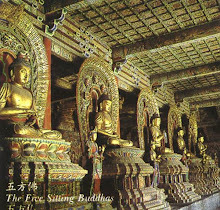 In the absence, then, of any rules governing the performance of ceremonies in Buddhism, man cannot but follow the customs of the place where he lives, provided that these customs do not go against the tenets of Buddhism. 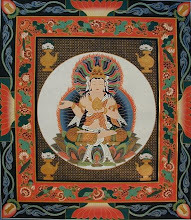 If the customs or performance of the ceremonies do not accord with Buddhist religion, or if the religious compunction does not approve of them, then the method of performance, rather than the ceremony itself, should be adapted to suit the religious teachings, or an entirely new way of performing the ceremony should be sought for. A man will want to do something of a ceremony when a child is born to him, or he has an occasion to give away his son or daughter in marriage, or at the time of death of other persons. 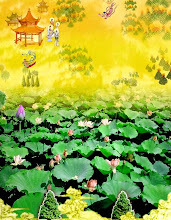 The following are the ways of performing ceremonies in connexion with occasions mentioned above, and they are so arranged as to be acceptable to all Buddhists. A few days after a child is born to a man, it occurs to him to give the child a name, a name which would be auspicious and pleasant to the ear. To do this he should invite some Bhikkhus and laymen to his house and offer food and other requisites to the Bhikkhus. When the offering of the food is over, he should place the child in front of the Bhikkhus, take Five Precepts ”Panca Sila” from them and request them to recite Buddhist Suttas called Parittas and give a name to the child. The Bhikkhus will then recite such Suttas as Mangala Sutta, Ratana Sutta, Metta Sutta, all of which can be found in Khuddaka Patha of the Khuddaka Nikaya, and such other Suttas as they think fit to recite on the occasion. The leader of the Bhikkhus will give a name to the child, or if the father desires that the name be given by some other person, he can ask a person whom he likes, to give the name. He is free to choose a man who will give the name, or if he wishes, he could himself choose a name for the child. 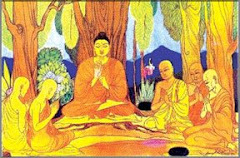 After the recitation of the Suttas and offering are over the Bhikkhus will leave his house, after which he can give a feast to the people whom he has invited to participate in the ceremony. For Buddhists, marriage is totally secular and has nothing to do with religion. No Bhikkhus in Theravada countries officiate at marriage ceremonies. Neither are marriage ceremonies performed at Buddhist Viharas, Temples or Pagodas. They can be done at any convenient place other than the places already stated. Ways of ceremony may differ with the place where the individual concerned lives. 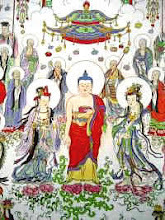 As marriage is secular in its nature, the individual is free to follow the custom of the place or country in so far as the tenets of Buddhism are not impaired. It is, therefore, not allowable for the marriage to be held. e.g., in a Christian Church, or to have it been officiated by a Christian. The best place to have a marriage ceremony performed is at one's own house, or if the house is not big enough for the gathering, the town hall or some other suitable place. Marriage can be conducted by the parents of both sides, or by an elderly man respected by both families, or any other person whom the two sides choose. There will, no doubt, be rejoicings and feasts, which can be done freely. 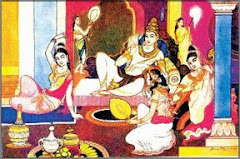 But if the individual is desirous of having some religious flavour in marriage, he can do no better than invite some Bhikkhus, a day or two after the ceremony, and offer them food and requisites and request them to give advice or admonition to the newly-wedded couple. The Bhikkhus will recite some Parittas and one of them will give advice to the husband and wife. Buddha Himself gave advice to the maidens who were about to be married. 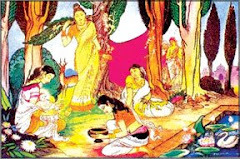 In the famous Singala Sutta *** of Digha Nikaya, Buddha laid down duties of husband and wife to each other. These duties should be told to the newly weds so that they may lead a happy married life. To have skill and zeal for whatever she may have to do. To abstain from misconduct with other Women. 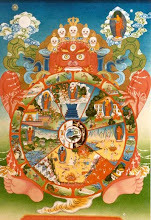 According to Buddhism, a person after his death, is ordinarily liable to be reborn in one of the 31 planes of existence. His rebirth is conditioned by good or bad deeds which he does in the present life or in some cases by deeds done in past lives. 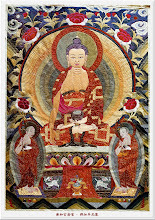 If he is virtuous, or if he does good deeds during his life, he may be reborn in the world of gods where he will enjoy godly pleasures; or if he is vicious in this life, he may be reborn in one of the four woeful states known in Pali as Apaya, which consists of Hell, Animal World, World of Petas and World of Asuras. He will suffer various torments and inflictions, hunger and thirst, etc., in those states. 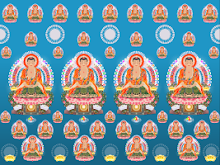 Again, according to the Buddhist Law of Kamma, even a person who has done good deeds is not definitely certain where he will be reborn, whether in higher planes or in woeful states. 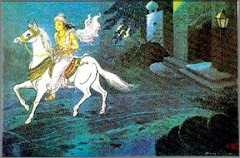 Through Kamma which he has done in past lives and which gets chance to give result, he may be reborn in a woeful state. Such is the Buddhist Law of Kamma. We cannot, therefore, be sure where a person, who has passed away, will be reborn. If he is reborn in the world of gods or Devas, we can do nothing to help him in his new existence. Neither could we do any thing in the case of his being reborn in Hell or Animal World or world of Asuras. But if he is reborn in the World of 'Petas' , we can help him. A peta does not get enough to eat, enough to drink and enough cloth to cover up its body. It is always hungry, thirsty and deficient in all necessities of life. It is to help such beings that we perform ceremonies at or after the funeral. But as we can never know where a deceased person is reborn, we perform funeral ceremonies whenever death occurs, so that in case the deceased is reborn in the World of Petas, he may benefit from our ceremony here, and even or if he is reborn elsewhere we may acquire merits for ourselves. Bhikkhus should be invited to the house where a person has died, or to the cemetery. The corpse should be placed before the Bhikkhus. The relatives should then assemble and take 'Panca Sila' from the Bhikkhus. Then they should offer the Bhikkhus some thing from the deceased ”a piece of cloth is usual”, and after that they should invite the deceased to take a share of the merit for meritorious deed by rejoicing at it. If the deceased could come and rejoice at it, i.e. utter Sadhu! Sadhu!, he will at that very moment be free from the woeful state he has fallen into and will enjoy godly clothes, ornaments, abodes and so on, and he will be thankful to his relations. Also seven days after the death, offering of food should be made to the Bhikkhus. The same procedure should be repeated here, and the deceased should be invited to take a share of the merit by rejoicing at the meritorious deed. As a result of this offering of food he will be able to enjoy godly food there . So, to put it in a nutshell, ceremony connected with the death of a person should be performed twice, once, at burial or cremation and again seven days after death. Both should be done with the intention of helping the deceased, if by some evil Kamma he is reborn in the World of Petas. 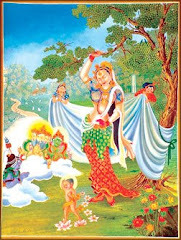 Inviting others to take shares of the merit by rejoicing at one's own meritorious deeds itself is a meritorious act called Pattidana (giving of merit acquired): and rejoicing at meritorious deeds done by others is also a meritorious act called Pattanumodana(rejoicing at merit acquired by others). Besides, one's own merit does not decrease although it is shared with others just as the light of a candle does not decrease although other candles are lighted with it. That is why all Buddhists, when they do meritorious deeds, invite all other beings to take shares of the merit by rejoicing at the meritorious deed. However, ordinary offerings are made primarily for the benefit of the donors them selves and the benefit of others, who rejoice at the offerings and thereby get a share of the merits therefor, is only a matter of secondary consideration; whereas offerings made at or in connection with funerals are primarily for the benefit of the deceased and the benefit of the donors themselves is only a matter of secondary consideration. Besides, in the case of ordinary offerings it is not essential that the donors and the sharers of their merit should get immediate benefit, whereas in the case of offerings made for the deceased it is absolutely essential that they should on rejoicing at the offerings get immediate benefit, e.g. in the form of godly clothes, ornaments, abodes and so on. The deceased cannot wait for future benefits like the donors and other sharers of merits and they can get immediate benefit only if the donees are virtuous. 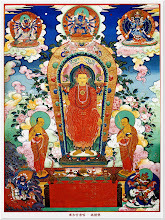 Three essential conditions for effectiveness of offerings made for the benefit of the decease. So three essential conditions must be fulfilled in order that the deceased might get the full benefit of the offering made by his relative. That the donor must make the offering expressly for the benefit of the deceased saying "Let the merit for this offering reach my relative so and so. That the deceased himself must rejoice in and express appreciation of the offering. *"
The first condition does not prevent the donor from inviting other deceased relatives and all other beings to rejoice at the offering; and take shares of the merit therefor. With reference to the second condition there was an instance of a Peta, who had not benefited by three offerings made successively to one and the same vicious donee, crying "The vicious person has robbed me!" (i.e. of the benefits which might have arisen to me immediately if the offerings had been made to a virtuous person). *""
However, the second condition is essential only for the special purpose of letting the deceased benefit immediately by rejoicing at the offering. 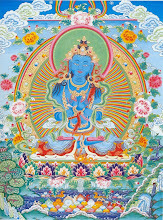 Offerings without such special object can be made to any being, good or bad. Even offering a little food to a dog is an act of merit; the donor will get benefit therefor; and the sharer will get benefit for rejoice thereat although the benefit in either case may not be immediate and the amount of merit for offerings increases with the virtue not only of the donee but also of the donor. This performing of funeral ceremony or in other words, giving dana and share merit with the spirits is the duty of every relative (nati dhamma), be he a near or remote, as the person who has passed away from this world and is reborn in the Woeful State of Petas always hope for an opportunity to utter 'Sadhu', i.e., to rejoice at the dana done for his benefit by his relatives. For sons and daughters, it is imperative that they perform funeral ceremony at the death of their father or mother. Expectation that they would perform such ceremony is one of the reasons for the parents' desire to have children. 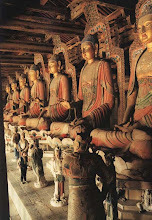 Says the Buddha in Anguttara Nikaya: *""""Seeing five things, Bhikkhus, parents desire a son born in the family. What five? He will support and attend to us in our old age, having been reared by us; he will do for us what must be done; our tradition will long endure (on account of him); he will enjoy the heritage; and he will make offerings for us and will share merit with us when we are dead." It is also one of the five duties of sons or daughters towards their parents to do meritorious deeds and to share merits with the parents who have passed away. In conclusion, it should be noted that only ceremonies which are in accord with Buddhism are permissible. 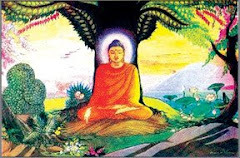 It is most important for a Buddhist, when performing ceremonies, to be careful not to go to other religions or deities for refuge discarding the Triple Gem; i.e., the Buddha, Dhamma and Sangha. 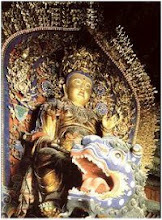 If the refuge in the Three Gems is discarded, he will no longer be a Buddhist. 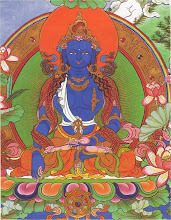 ** Anguttara Nikaya, Vol. II., pp. 30-31, 6th Syn. Edn. *** Please see Suttanta Pitaka, Digha Nikaya, Pathika-vagga, Singala Sutta, page 146, 6th Synod Edition; and Pathika-vagga Atthakatha, Singala Sutta Vannana, page 124, 6th Synod Edition. **** Dhammapada Commentary, 4, Story 8. *" Petavatthu Atthakatha. 6th Synod Edition, p. 25. *"" Majjhima Nikaya, Uparipannasa Atthakattha, 4. Vibhanga Vagga, 12. Dakkhina-vibhanga Suttavannana, p. 219, 6th Synod Edition. *""" Anguttara Nikaya, Pancaka Nipata, Pathama Pannasaka, 4. Sumana-vagga, 9. Putta Sutta, p. 37, 6th Syn. Edn.